For Telecare, 2016 was a year of growth and gratitude. We welcomed new members to our leadership team, we opened new programs in partnership with our customers, we expanded and deepened our relationships with the communities we serve, and added important new training and education opportunities for our employees. We are grateful to our staff for the work they do. We are grateful for your support and collaboration. And we are grateful to be of service. We hope you have a happy, healthy, and relaxing holiday season, and we give our sincerest thank you for your goodwill throughout the year. 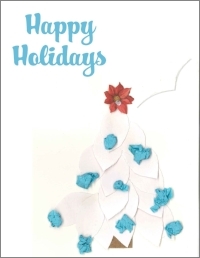 Every year, we receive numerous works of art from our members for Telecare's Holiday Card and 2017 Recovery Calendar art contests. We would like to give a shout out to all of the members who shared their sketches, paintings, and poetry with us. We are are excited to show you the winning entries. 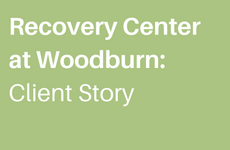 "Recovery Center at Woodburn has been a great opportunity for me because it's given me a chance to thrive in my life." We catch up with David, a Woodburn resident who uses art as a medium for recovery. David shares his story of recovery in his artist biography for a local art show. Check out all the fun our programs had in this short video! With new programs on the horizon and the passing of HR 34, or the 21st Century Cures Act, we are eager to see what we can achieve in the year to come! Want more? You can also click here for gift ideas and volunteer opportunities!